PaymentsJournal: A Year on from the First Us Real-Time Payment. Where Are We Now – and Are You Ready to Take the Plunge? Banking Technology: PSD2 – the tip of an Open Banking API iceberg? Finextra white paper: Open Banking in a Real-Time World: Preparing your payment systems for a continuum of change. Automation in Payments : A Myth or Reality? InstaPay: Is your Tech ready for Real-time Payments? PaymentsSource: Multiple Models Threaten 'Real-Time' Payments in the U.S.
Finextra: De-risking payments system overhaul - a New Year’s resolution? ISS-Mag: Harmony In The Standards World? Finextra: Should existing Fintech vendors do more to nurture start-ups? Banking Technology: Will PSD2 be the driver for a new era in Open Banking? Finextra: Arab banks - at the tipping point of payment systems change? As we speed into 2019 while reflecting upon our achievements in 2018, I would like to take this opportunity to thank our clients, partners and our talented teams across the globe for what has been a very successful year for Volante. 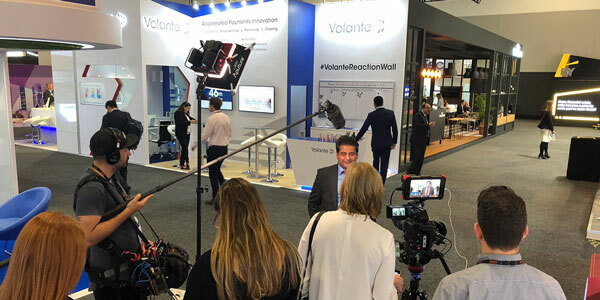 Several clients have chosen Volante as a trusted partner in their digital transformation journey of payment processing, and to highlight just one of our key strategic initiatives, we launched our 'Payments as a Service' on the cloud with our first client.